The natural choice for installers and contractors and those who demand ultimate peace of mind, SVAT® can protect you or your client’s investment and keep your building safe and crime-free. This system includes a 1TBHDD to provide up to 4 years of recording and Advanced IR image filtering for color accuracy. 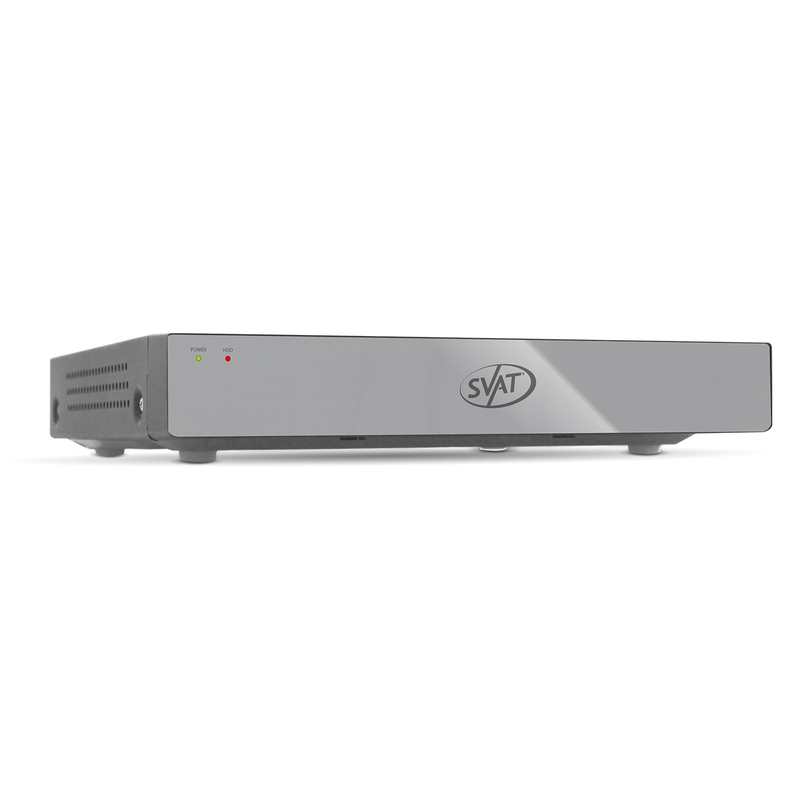 The patented sleek, modern appearance of SVAT cameras is complemented by its durable, vandal-resistant design while the system offers the hassle-free installation and functionality you expect from SVAT. In addition to its good looks, SVAT systems are ideal for protecting a wide range of outdoor applications and larger locations including building perimeters and parking lots.